Hi everyone, I thought I would tell you about a 3-day weekend we had to attend a wedding! I am going to tell you what we got up to over the Saturday, Sunday & Monday. The wedding was situated in a very small town about 20 minutes away from Geelong, Victoria, Australia. 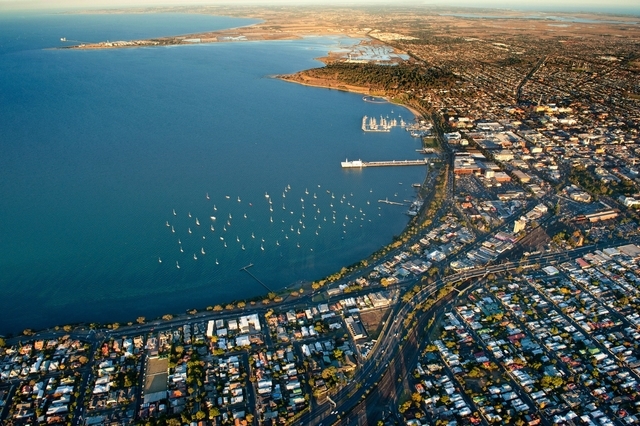 Geelong is the second biggest city in Victoria. It is about 1 1/2 hours from where we live. This was the first wedding I have ever attended (was good to see how it all went so I know more for what to do for my own!) It was Josh’s best friend, and he was best man and did a great job. The wedding was lovely and they had the best day for it. Lets get into what we got up to. We had a late start so we had a bit of a sleep in as there was no rush to get to the hotel were staying at. Check-in was at 2pm. We left home at around 12pm and decided to get McDonalds for lunch on the way. We arrived at the hotel at around 3pm, and were very happy and surprised to hear that our room had randomly been upgraded! I wasn’t really sure what to expect, but we waked in the door to the kitchen and the lounge room, along with a dining and study area. Then we walked into the bedroom with a king bed, turned left to an en suite and a SPA BATH! The bath was absolutely massive, and we knew straight away what we were doing that night. We also had a balcony overlooking the beach, it was pretty cool. After having a bit of a walk around, we headed back to the hotel. Now was the big decision of what to do for dinner! We had some restaurant vouchers to use which we got from some of my work colleagues when we got engaged, so I was looking up places that we could use those. Otherwise the other choice was to eat at the restaurant at the hotel – because we were staying there we could receive 20% off at the restaurant. We decided to eat at the hotel restaurant so we didn’t have to worry about driving any more, but when we went downstairs to ask for a table for two, they were annoyingly booked out! Though they said we could order room service. We went back to our room, but decided to go out instead. The restaurant we went to was in the heart of the city, called ‘The Lord Nelson’. I have to say, these were the best meals we’ve had out in a while. The food was good, the service was excellent, and the venue and staff were extremely accommodating to my dietary requirements (I can’t have fructose or rice/rice flour). It was so nice to have a good restaurant experience for once. Unfortunately my anxiety was really bad at this time and I was finding it difficult to enjoy my meal. After dinner, we went for a small walk to near the beach – there was a Ferris wheel and the view looked really pretty, so we hung around at this spot and took some photos (yes I have a pink fluffy backpack haha). This helped me a bit to calm down. We then got in the car and headed back to the hotel. As soon as we got back to the hotel we started to run the spa bath – it probably took 15-20 minutes or so to fill up as it was so big! Earlier in the day I bought some Body Shop rose bubble bath to use. We chilled in the bath for a while chatting about life, then we got out, watched some TV then went to bed. My anxiety was bad the whole night, so annoyingly I didn’t sleep. I really needed sleep to as we had a big day for the wedding. This has been happening frequently since the start of the year and I have no idea why, but I hope it passes. We got up at 8am to go downstairs for a buffet breakfast. Due to my anxiety again, I could barely eat anything which was really annoying! When we finished, I had a 2 hour nap (I still couldn’t sleep), then I got up again to get dressed, do my hair and put my make-up on ready for the wedding. We went to the grooms house early so Josh could get his tie and suit sorted. Then we all headed off to the wedding location. The groomsmen did some setting up, then the guests started arriving. We were sitting in a grassy area overlooking a lake and hills (thought it was very dried out as it is summer here at the moment). We all took a seat and shortly after the bride arrived, this was at 3pm. Then came the part of the bridesmaids and bride coming down the aisle and it was lovely. It was the most perfect weather for the wedding too, about 27 degrees. After the ceremony and all the photo taking, we had the reception. It was held in a small hall fully decorated by the bride, she did an amazing job. The food was a help yourself spit-roast which consisted of assorted meats, vegetables, bread rolls and condiments. Dessert was pavlova, apple pie, chocolate cake and fruit salad. After this the bride and groom had their first dance as husband and wife, then everyone else joined in and had a good time. We decided to head back to the hotel at around 8:30pm – the reception was set to finish at 9pm. We were exhausted when we got back. I couldn’t wait to get my shoes off, as well as my make up! We both got comfortable, Josh watched a movie on TV and I watched some YouTube on my iPad while eating some chocolate, to make up for the lack of dessert I could eat at the ceremony due to my food intolerance’s. We went to be at around 11:30pm. I basically didn’t sleep again, my body is stupid like that. I think it was a combination of being away from home and also anxiety. My anxiety wasn’t as bad this day thank god. Again, we got up at 8am, had a quick shower and went down for breakfast. I was a little hungrier today so I could eat a bit more. After breakfast we checked out and decided to start heading home. We had to pick up Tofu (our bird) from Josh’s Mum’s place so we had a bit of a detour. Before picking him up, we went to the shops to get some lunch, and also get food for the week. After this we were very happy and excited to be picking up Tofu, we were missing him a lot more than we thought. Then there was finally the trip back home. As soon as we got home, we did all our unpacking straight away to get it over with, then I sat down and watched TV while Josh played some games. I hope you enjoyed reading this! I had a great time other than the lack of sleep and anxiety. It was good to for something different and it was also great to get dressed up. What has been an exciting weekend for you? Let me know in the comments! Glad that you had a great time. I love your dress. You looked beautiful (but then you always do). Hope you managed to catch up on sleep. Aw thank you so much!! Just wish I could get more wear out of it haha. A spot of hoovering…. a visit to the local shop… Ha! I’m glad you had a great time, and you really look lovely!